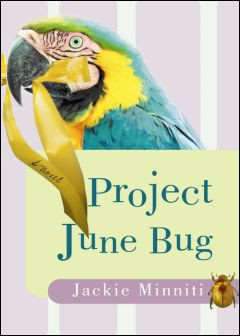 The Mom's Choice Awards® has named Project June Bug, a novel by Florida author Jackie Minniti, among the best in family-friendly media, products and services. The Mom’s Choice Awards® (MCA) is an awards program that recognizes authors, inventors,companies, and others for their efforts in creating quality family-friendly media, products and services. Parents, educators, librarians and retailers rely on MCA evaluations when selecting quality materials for children and families. The Mom’s Choice Awards® seal helps families and educators navigate the vast array of products and services and make informed decisions. An esteemed panel of judges includes education, media and other experts as well as parents, children, librarians, performing artists, producers, medical and business professionals, authors, scientists and others. A sampling of our panel members includes: Dr. Twila C. Liggett, ten-time Emmy-winner, professor and founder of PBS’s Reading Rainbow; Julie Aigner-Clark, Creator of Baby Einstein and The Safe Side Project; Jodee Blanco, New York Times best-selling author, Priscilla Dunstan, creator of the Dunstan Baby Language; Patricia Rossi, host of NBC’s Manners Minute; Dr. Letitia S. Wright, D.C., host of the Wright Place™ TV Show; and Catherine Witcher, M.Ed., special needs expert and founder of Precision Education, Inc.
MCA judges are bound by a strict code of ethics which ensures expert and objective analysis free from any manufacturer association. The evaluation process uses a propriety methodology in which entries are scored on a number of elements including production quality, design, educational value, entertainment value, originality, appeal and cost. To be considered for an award, each entrant submits five identical samples of a product. Entries are matched to judges in the MCA database. Judges perform a thorough analysis and submit a detailed assessment. Results are compiled and submitted to the MCA Executive Committee for final approval. The end result is a list of the best in family-friendly media, products and services that parents and educators can feel confident in using. 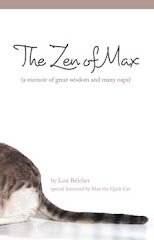 Project June Bug is also the recipient of an Eric Hoffer Book Award, a National Best Books Award, a Next Generation Indie Book Award, a Cordon d’Or Award, a Royal Palm Literary Award, four Parent to Parent Life Buzz Awards, and was chosen by Premier Book Awards as 2009 Book of the Year. For more information on Project June Bug, visit http://www.jackieminniti.com/.